Tired of receiving calls on your smartphone from numbers you don’t recognize? 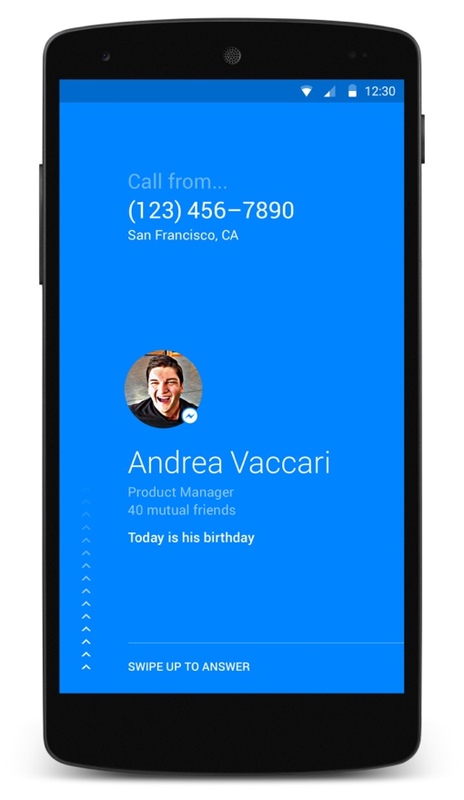 This week, social network Facebook unveiled a new app for Android called Hello that automatically matches the phone numbers of incoming calls to the callers’ Facebook profiles, letting you know their identity before you answer. When you download the app and use it to sign in to your Facebook account, you’ll unlock the ability to passively run Facebook searches on all incoming phone call numbers. If the caller has changed their Facebook privacy settings to allow you access to their profile (either as a friend or as a stranger), the caller’s photo and information will pop up on your screen before you answer. You’ll be able to see a caller’s employer, hometown, job title, website and even information about their birthday. If you’re the person placing the call, Hello will similarly give you all the information Facebook has about the person you’re calling (again, so long as they’ve opted in to letting you see it). You’ll also be able to make a free VOIP call rather than using a traditional cell network connection if the person you’re calling has Facebook Messenger installed. Call a business, and Facebook will overlay information about its hours, its star rating and the number of people who have liked the establishment. One of Hello’s best features, however, is its ability to block callers. The app is smart enough to tally how many other people have blocked a number too, so if you’re getting a call from a known telemarketer, Hello will prevent your phone from ringing and send it direct to voicemail. Of course, you can choose exactly how these kind of calls are handled inside the app, in case you want all your calls to come through – even the nuisance ones. Even if you don’t download and use the Hello app, it’s worth noting that other people may be able to access your personal information through downloading and installing it themselves. You can opt out of having your information appear in Hello by entering your privacy settings and tools and changing the “Who can look you up using the phone number you provided?” setting. Want to learn more about Hello? You can visit the official Facebook Newsroom blog for more information, or watch the short promotional video below. To download the app, visit its page on Google Play. You might also be interested in these other ways to identify and block telemarketers from calling your phone.